With thanks to VMM (Virtual MOT Manager), we are able to have such a real time Diary facility on our website. The MOT booking system allows us to efficiently manage the day-to-day running of our MOT testing lanes and it also helps our customers, as they are able to book their MOT Tests anywhere and at anytime! 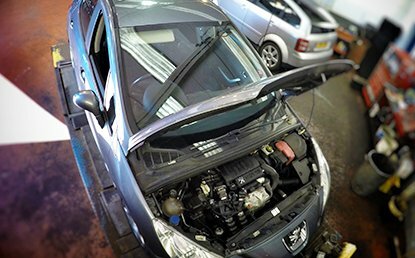 MOT Tests can be conducted from either our Mytchett or Lightwater centres. We can carry out MOT Tests on Class 4 vehicles up to 3000kg, Commercial Vehicles up to 3,500kg Class 7 Vans and Class 5 Mini buses up to 16 passenger seats up to 5000 gvw. Click here to see what is actually tested on an MOT.